Michael Talbot is the associate director for the Master of Global Affairs program and a concurrent assistant professional specialist. He provides leadership for the master’s program and oversees its day-to-day operations including recruitment, admissions, enrollment, curricular offerings, student support, and completion of degree requirements. Prior to his current position, Talbot supported Keough School Dean Scott Appleby during the establishment of the School. Talbot holds an LLM in international human rights law from Notre Dame, a JD from the University of South Carolina, an MA from the Katholieke Universiteit Leuven, and a BA from the Catholic University of America. As an attorney, he has worked on issues related to housing defense, criminal defense, and nonprofit law. His professional experiences include a fellowship with the Harvard Legal Aid Bureau and work with the South Carolina Nonprofit Organizations Clinic. In addition, Talbot served with the U.S. Peace Corps in The Gambia, where he coordinated nationwide initiatives related to malaria prevention and HIV/AIDS education. He currently volunteers as a mediator with the Center for Community Justice in Elkhart, Indiana. 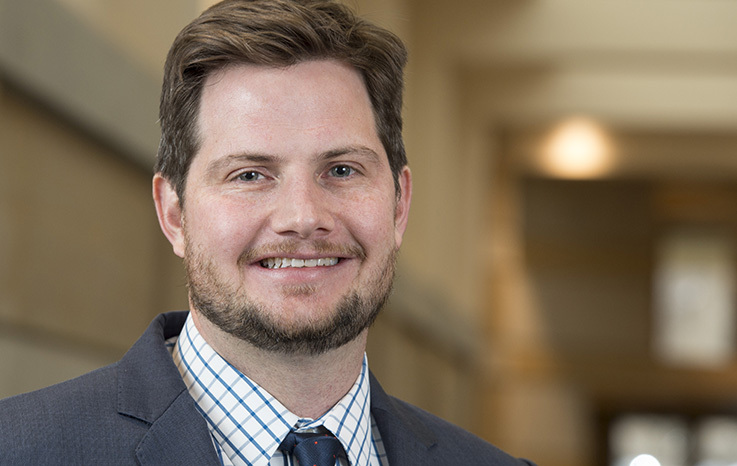 Talbot’s research focuses on issues connected to international human rights law, integral human development, and the interface between international legal frameworks and traditional practices. Talbot’s publications have appeared in the Georgetown Journal of International Law, the Harvard Human Rights Law Journal, and the South Carolina Journal of International Law & Business. His teaching includes topics related to human rights and transitional justice.